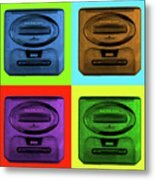 Sega Genesis is a piece of digital artwork by Robert Grubbs which was uploaded on September 3rd, 2018. Sega Genesis, known as the Mega Drive in regions outside of North America, is a 16-bit home video game console developed and sold by Sega. The Genesis was Sega's third console and the successor to the Master System. Sega released the console as the Mega Drive in Japan in 1988, followed by North America as the Genesis in 1989. In 1990, the console was distributed as the Mega Drive by Virgin Mastertronic in Europe, Ozisoft in Australasia, and Tectoy in Brazil. 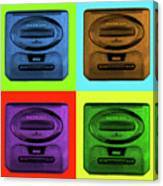 In South Korea, the systems were distributed by Samsung as the Super Gam*Boy and later the Super Aladdin Boy. Designed by an R&D team supervised by Hideki Sato and Masami Ishikawa, the hardware was adapted from Sega's System 16 arcade board, centered on a Motorola 68000 processor as a primary CPU and a Zilog Z80 as a secondary processor. 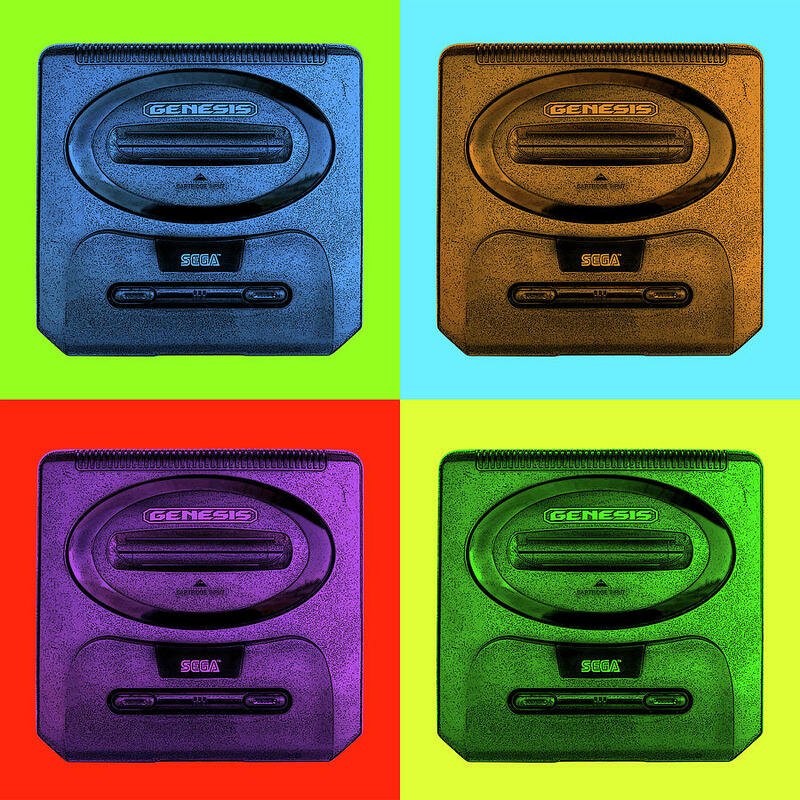 The system supports a library of more than 900 games created by Sega and a wide array of third-party publishers and delivered on ROM-based cartridges. The Genesis has benefited from several peripherals and network services, including a Power Base Converter to play Master System games, as well as multiple first- and third-party variations that extend its functionality. 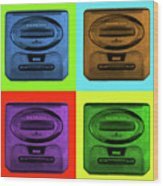 In Japan, the Mega Drive did not fare well against its two main competitors, Nintendo's Super Famicom and NEC's PC Engine, but it achieved considerable success in North America, Brazil and Europe. Contributing to its success were its library of arcade game ports, the popularity of Sega's Sonic the Hedgehog series, several popular sports franchises, and aggressive youth marketing that positioned the system as the cool console for adolescents. The release of the Super Nintendo Entertainment System two years after the Genesis resulted in a fierce battle for market share in the United States and Europe that has often been termed as a "console war" by journalists and historians. As this contest drew increasing attention to the video game industry among the general public, the Genesis and several of its highest-profile games attracted significant legal scrutiny on matters involving reverse engineering and video game violence. Controversy surrounding violent games such as Night Trap and Mortal Kombat led Sega to create the Videogame Rating Council, a predecessor to the Entertainment Software Rating Board. 30.75 million first-party Genesis units were sold worldwide. In addition, Tectoy sold an estimated three million licensed variants in Brazil, Majesco projected it would sell 1.5 million licensed variants of the system in the United States, and much smaller numbers were sold by Samsung in South Korea. The console and its games continue to be popular among game fans, game music fans, collectors, and emulation enthusiasts. By the mid-2010s, licensed third-party Genesis rereleases were still being sold by AtGames in North America and Europe. Many games have been re-released in compilations for newer consoles and offered for download on online services such as the Virtual Console, Xbox Live Arcade, PlayStation Network, and Steam. 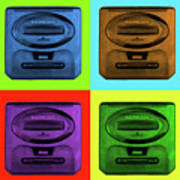 The Genesis was succeeded in 1994 by the Sega Saturn. Thanks for featuring my pop art! Thanks for featuring my pop art in your group!